Sponsors and Advertising: Now Available! With the addition of the Sponsorship Module, you can now manage and track these additional revenue streams right within the software. Lets take a quick look at why these features may be something your association needs to be utilizing. To get set up, you will want to first set up your advertising types. This is where you set the dimensions. We've set up one with the most popular choice, full banner. Your next step will be to tell those advertising types what pages they should be displayed on, as well as where on the page they should display (top or bottom of page). The enable/disable button allows you to customize what displays where. 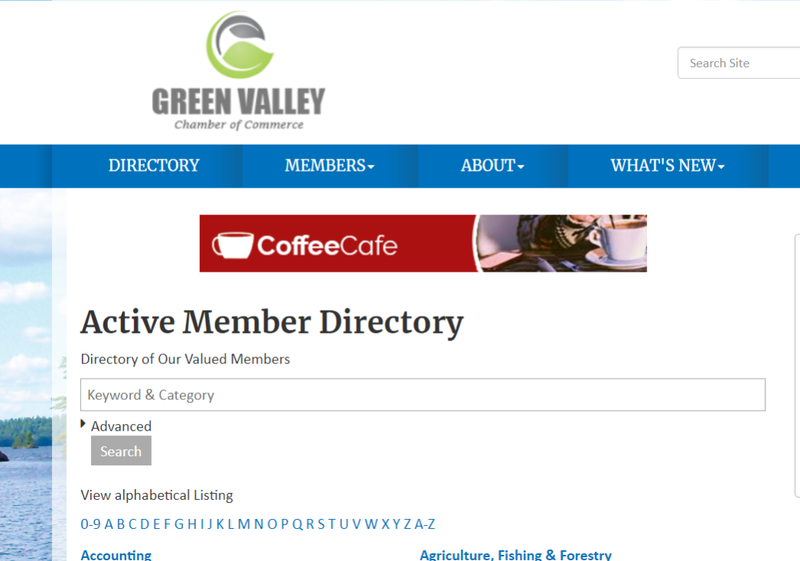 For example, if your association has multiple calendars, you could set up a specific ad type that would display ads on just your calendars. You could also keep it simple and just create one advertising type that puts an ad on all of your public module pages. It's up to you! For the top and bottom placement, we recommend a banner-sized ad (wide rectangles). For additional placement customization, such as placing a square ad in the side bar of a specific webpage, you can utilize our advertising widget. Once you have that all set up, now you can easily add the advertisements in the Advertising tab. Selecting which contact/organization this belongs to, the date range to which the ad should run, the URL the ad should take a user to if clicked, and more. For in-depth training on how to setup and apply advertisements, visit our support wiki. In addition to advertising, purchasing the sponsorship module also gives you additional benefits within your events. Manage your sponsors from directly within each event. To start, you will want to define you event sponsorship benefit packages (found by going to Setup>Event Sponsorship Benefits). This give you the flexibility to determine what each sponsor package includes. 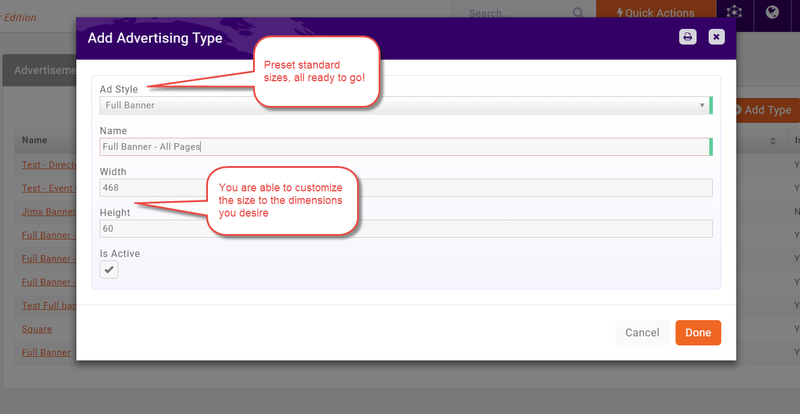 Then, go into a desired event and navigate to the sponsorship setup tab. Click the small orange plus button to add a sponsorship type. This is where you will set up your fee and pick the benefit package you previously set up. Now all that's left is to add your sponsors. To do that, on the sponsors tab of your event, add a sponsor using the orange actions button. Find the individual/organization that wishes to sponsor your event and sign them up. When hitting done on this screen, an invoice will be created. 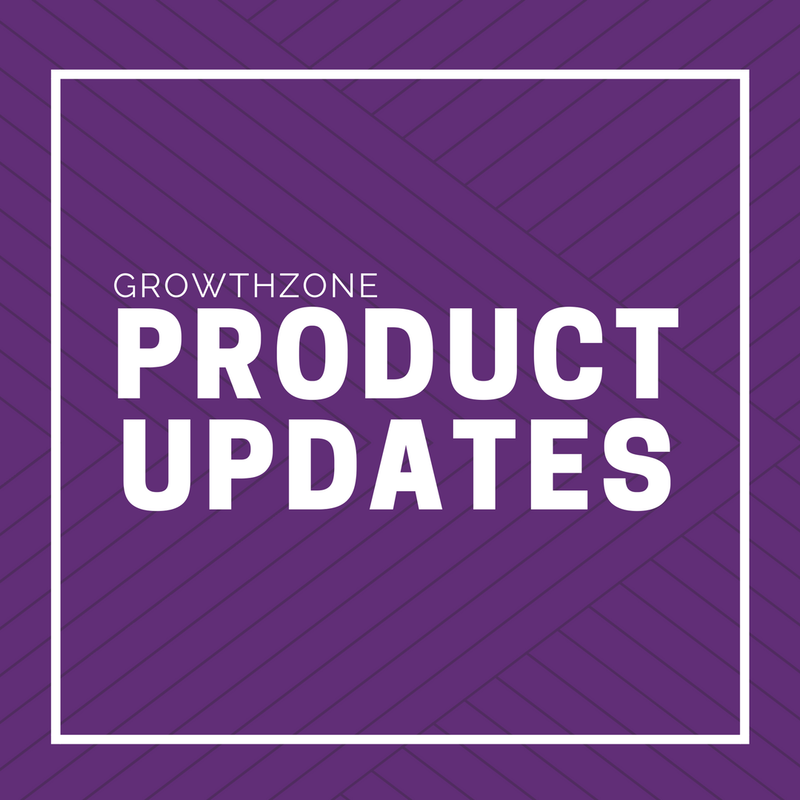 If you have other suggestions, make sure to visit our GrowthZone feedback portal to submit or vote on ideas.